Summer means sweaty body, hot temperature and intense sunshine. Thus, it is good to escape the heat of the sun and go to cold places like Baguio City and Tagaytay City. If you are living in Metro Manila and is looking for a nearby cool place, I suggest that you visit Tagaytay City. If you chose to visit Tagaytay City, I also suggest that you stop by the popular Picnic Grove. 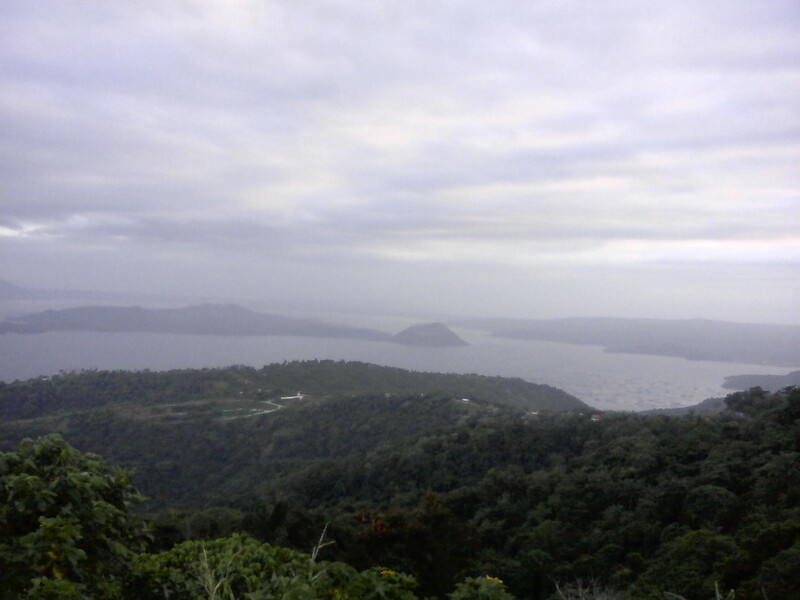 Like what I said, Picnic Grove boasts of a great view of the Taal Volcano. It is good to pose for some pictures in side Picnic Grove with the Taal Volcano and the Taal Lake as the background. Picnic Grove is the best place for, of course, picnics. Picnic Grove has a wide grassy area that is perfect for laying down your picnic mats. Aside from grass, Picnic Grove also has trees that provide shade for picnickers if the sun become too hot. If you don't want to sit on grass or the ground, then you can rent a covered table. The price for each covered table ranges from 15 to 20 pesos. You can sit on these benches for free. Park personnel will charge you if they saw you place packed/picnic foods on the covered table. Covered table for rent in Picnic Grove. Once you enter Picnic Grove, lots of people will crowd around you offering horseback riding, pasalubong, or rooms that you could rent for the night. Horseback riding is a popular activity inside Picnic Grove. Horses can be rented for 200 pesos per hour. I suggest that you haggle with the horse owners so that you can lower the price down to 150 or 100 pesos. Europeans, who want to ride the horses inside the Picnic Grove, are reminded that those horses are smaller compared to horses found in Europe. We had a German visitor who rode a horse inside Picnic Grove. She told us that she is afraid of falling down because the horse is too small as compared to the horses in her hometown. The most exciting facility in Picnic Grove is the zipline. 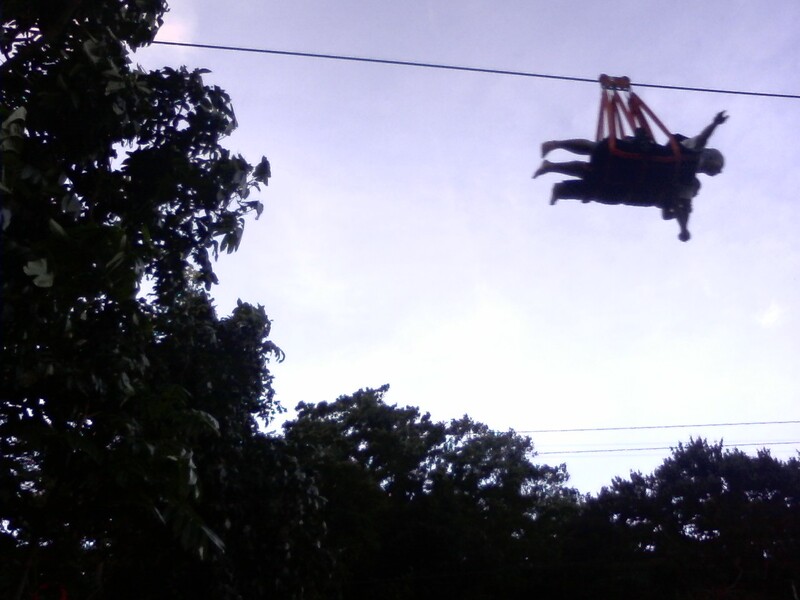 Experience the Picnic Grove zipline and feel the cold wind as you slide down the zipline. You will be crossing a chasm between two mountains when you fly the zipline. Picnic Grove zipline is not for the faint hearted. If you are too afraid of the zipline, then I suggest that you try their cable car. The cable car is like a giant bird cage that allows you too see the Taal Volcano and the green land below as you move along the cable. On ordinary days, the zipline and the cable car costs for 100 pesos for one-way trip and 200 pesos for two-way trip. During holidays and weekends, one-way trips costs 200 pesos and two-way trip costs 300 pesos. Picnic Grove is also a good place to buy your pasalubongs. Their shops inside Picnic Grove that sell handicrafts, sweets and other pasalubongs. So, those are some of the things that you can do inside Picnic Grove. Some people do other things, like kite flying, inside the Picnic Grove. 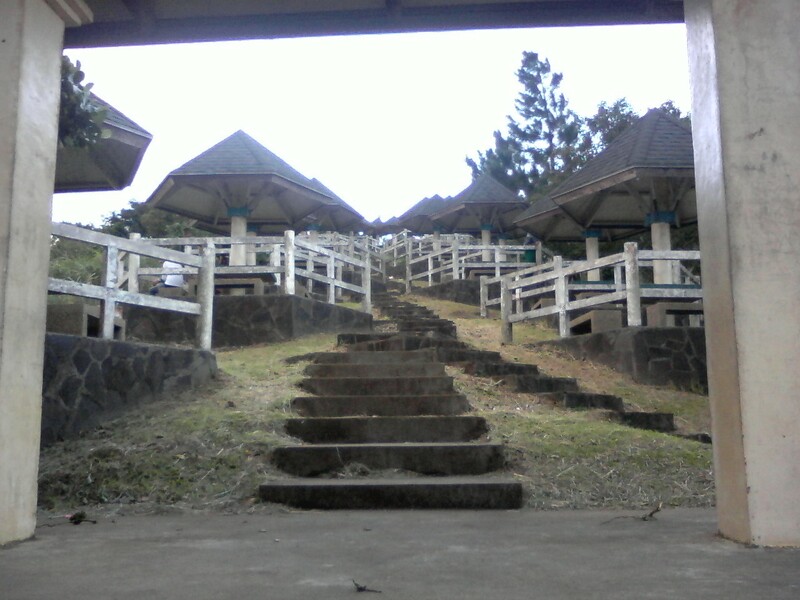 If you are looking for a cool place, then go to Tagaytay City and don't fail to take a peek of Picnic Grove. For more information, I recommend my article about Picnic Grove in my personal-travel blog.